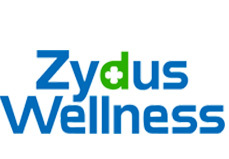 Zydus Wellness Ltd. (“ZWL” or “the Company”) one of the reputed players in the fast-growing consumer healthcare market, announced that it has entered into a definitive agreement to acquire the subsidiary of Kraft Heinz, Heinz India Private Limited (“Heinz India”), jointly with Cadila Healthcare Ltd., at a valuation of INR 4595 crore. This valuation includes net working capital of INR 40 crore, cash of INR 15 crore and assumes no debt. The transaction is expected to close in Q4 FY 19, subject to regulatory approvals. Avendus Capital is the exclusive financial advisor to Zydus Wellness. Heinz India’s business comprises the brands Complan, Glucon-D, Nycil and Sampriti Ghee, two large manufacturing facilities in Aligarh and Sitarganj and teams devoted to operations, research, sales, marketing and support. Heinz India also has a strong distribution network of over 800 distributors and more than 20,000 wholesalers covering 29 states. For the four brands, Heinz India recorded revenues of about INR 1150 crore and EBIDTA of about INR 225 crore for the 12 months ending 30th June 2018. Following this acquisition, Zydus Wellness will have consolidated revenues of about INR 1700 crore. The transaction is proposed to be financed by a mix of equity and debt. Select leading private equity firms have committed to partnering the transaction by the way of equity support. The transaction is expected to be EPS accretive. “For our parent company and Zydus Wellness, science and innovation have always been a strength and we strongly believe that we will further enhance value to all these marquee brands. Our ability to merge the consumer and ethical pharma offerings to create a seamless world of wellness will unlock value for these brands.” Dr Patel added. The Avendus Group (Avendus) is a leading provider of financial services with an emphasis on customized solutions in the areas of Investment Banking, Wealth Management, Structured Credit Solutions and Alternative Assets Management. Avendus relies on its extensive experience, in-depth domain understanding and knowledge of the regulatory environment, to offer customized solutions that enable clients to meet their strategic aspirations. Avendus Capital has consistently been ranked among the top investment banks. It has a strong track record of cross-border transactions and has helped multiple clients benefit from opportunities across geographies. Avendus’ wide range of clients is testimony to its ability to serve its corporate clients throughout their life cycle – from growth stage funding to complex large sized transactions later in the cycle.